Naval Weapons of the World. Analyses of ships, their employment and general equipment. Lists of participating ships for major 20th century battles. 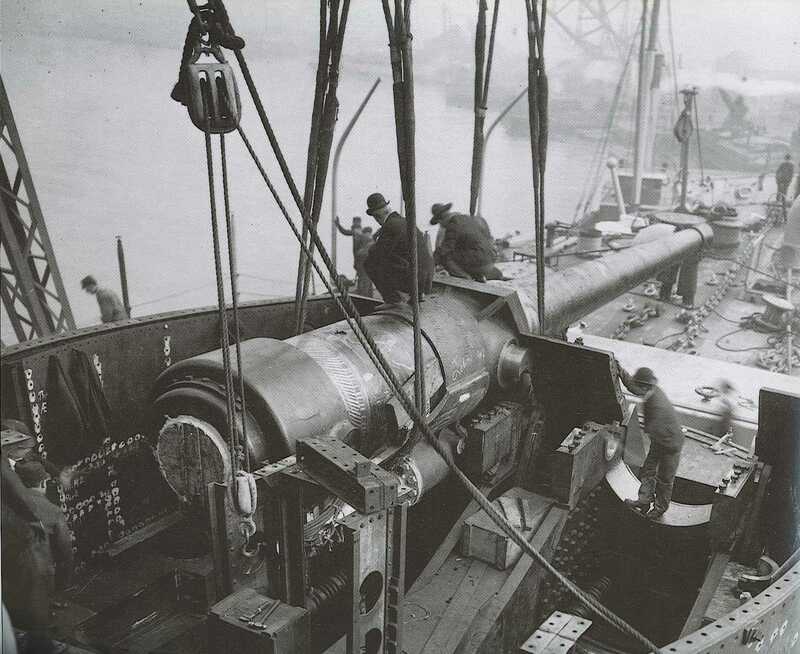 USS Connecticut B-18 getting one of her bow 12"/45 (30.5 cm) guns installed. A selection of articles published in the International Naval Research Organization's Warship International. Articles on the Naval Battles off Guadalcanal. Resources to aid analysis and calculations. Tips on where to obtain official naval information. NavWeaps books on naval subjects. Other resources on the Web.